Which countries should host the World Cup? 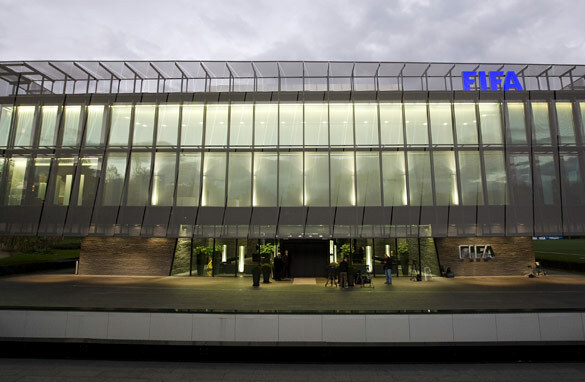 The FIFA organization has come under scrutiny ahead of Thursday's World Cup vote. In the last few days, I have been asked several times who I think FIFA is going to pick to host the 2018 and 2022 World Cups. My answer has always been the same. I have no clue. For 2018 it is tough to pick between the growing economic powerhouse of Russia, who have never hosted before, the "home of football" England who have not welcomed or won the event since 1966, the Iberian flair of Portugal and Spain or the pragmatic approach of Holland and Belgium. For 2022 the selection is also complex. The U.S. you would think has a strong case after its inaugural hosting in 1994, but winning the vote is all about making friends and the fallout of the Wikileaks releases may have soured a few key relations at the wrong time. Both Korea and Japan have been relatively recent hosts (as joint organizers in 2002) while Qatar's climate would surely make playing games in June a tough proposition despite the desire take the game to an important new region. Australia are famed for their love of sport, but are they passionate enough about football to give the event the buzz of the Sydney Olympics? The options are tough enough but it is impossible to predict how the executive committee is going to vote because there is so much politics involved. What I know for sure is that the World Cup decision should not come down to a roomful of executives. There should be a much larger electorate and it should feature a wider range of people of more ages and backgrounds. Which nation will host 2018 World Cup? The current committee is like an exclusive old boys' club. Most of these gentlemen are in their 50s and 60s, if not older, and have been part of the hierarchy for over 10 years. They have built such intertwined personal relationships that in many ways they are as familiar as a family. But does this mean they have lost the ability to to be objective when it comes to dealing with the many people they know well-connected to the countries that are bidding to host the tournament? I am not going to comment on the allegations of corruption surfacing from a Sunday Times sting operation or a BBC program. Money never actually changed hands when the newspaper approached the executive committee members in question, and the officials implicated in the television report were cleared in court a few years back. However, the revelations will no doubt impact the thoughts of the chosen few bestowed with the power to vote on who should host future tournaments. They are a family after all and any such knock to the collective reputation - accurate or otherwise - will have hurt collective feelings, no doubt about it. – Every one of FIFA's 208 member associations should have an internally-elected representative who would take part in the vote. – These elected representatives would have terms of four to six years, so they would never vote on more than one World Cup host ballot. – All members would gather in Zurich and vote until an absolute majority winner is found. These measures would surely help to freshen up the image of FIFA and in my view they would represent a more balanced and fair reflection of what the football world thinks and feels. And surely, with each voter having less power, the chances they would be approached with bribes would surely diminish? Either way, it will be as much a surprise to me as to the millions of fans tuning in around the world when the host are finally announced. But maybe you know something I don't? Editor's Note: Watch FIFA's World Cup announcement live on CNN.com from 1500 GMT (1000 ET). Logic tells us that it is Russia's turn to hold the World Soccer Championship in Moscow !! ........yes, it's that simple ! The question is not "Which countries should host the World Cup?" but "Which countries have the biggest money bag to bribe officials at FIFA?". The country with the biggest money bag will win. I think England and the US will be chosen for respectively 2018 and 2022. Although the recent BBC report, the england bid remains strong! Maybe it would be possible that China could host the 2018 world cup. 2022 -should go to Australia, they have not hosted it and have hosted the Olympics. if not the Qarter or the USA. Japan and Korea should forget they had great world cup but they only hosted it 8 years ago they gave to be fair to others. I am all for England. I think it is about time for England to host it. They have done a lot for soccer fans right round the world. For example: My weekends are much more exciting if there are premiership games. I am always bored during the break prior to the start of a new season. ENGLAND; ENDLAND; ENGLAND. U S A!! U S A!! Russia is particularly interesting. Many are quick to point out that it's "their turn", but I have concerns about their horrifically archaic travel policies. Granted it's easier to reach for most fans than Australia, but their visa processes and travel restrictions on foreigners are a logistical nightmare. Would these cause problems for potential fans, or might the hosting of a World Cup (in addition to the 2014 Sochi games) push the government to lift their archaic and ridiculous travel restrictions? Qatar is also a fantastically interesting choice. The weather issue is huge, but if anybody has the technical capability (and money) to overcome that issue, it's Qatar. Though I personally hope the U.S. takes the 2022 cup. Seeing this amazing sport on home turf would be thoroughly fantastic. My Forecast – these are the most appropriate choices for the World Cup soccer championship – open to all nations – first two due to be announced tomorrow. 2038 should be a European multi-country combined location including Netherlands, Germany, Austria, Switzerland, Denmark and Norway. 2046 should be Italy, Malta and Greece. 2054 back to the home of the game – England. What's the problem ? It's easy! Ian – still playing competitively and having fun at 67.
ich würd sagen...wenn keiner möchte werden wir wieder gute Gastgeber wie 1974/2006...! I would say .. if nobody else wants to Germany would be good hosts like we were in 1974 and 2006! ... otherwise i can say let the next world cup come ...where is it... ohhh BRAZIL!.... EUROPE needs the learn the dance samba or lambada... there nice dances... next 2014. I am hoping for England 2018 and Japan 2022. But unfortunately, that wouldn't be the case. It would probably be Russia 2018 and Australia 2022. I'm from Spain and frankly, I hope we don't get it. These things always drain money from public coffers and we have enough problems running the country as it is. if we are comparing the host countries to the hosting of the olympics, then its fair to say that Russia should get it. Brazil got the 2014 world cup and the summer 2016 olympics. So Russia having the winter 2014 olympics might be getting the world cup 2018? although i am partial to both spain and the netherlands because they've never hosted before. For 2022 i would say USA or Austrailia. LOL @ India hosting it. India couldnt even host common wealth games properly. I vote for Russia in 2018 and for Qatar in 2022 ! Brian, it is not called the World Soccer Championship, it is called the FIFA World Cup. Also, world cups are not hosted in any one city, they are hosted several cities. Finally, you present no logic in your argument. Here is some logic: before 2002 all world cups were hosted by either Latin America (exc. USA 1994) or Europe (because that is where most of the fans were) and the continents would alternate every four years. Then Korea and Japan hosted the 2002 edition because football in Asia was increasingly popular, 2006 went to Germany, 2010 to South Africa, and 2014 will be in Brazil. In my opinion, the world cup should go to Australia in 2018, and to Qatar in 2022; it should be Europe's turn again in 2026, and Latin America again in 2030 (probably Uruguay as that is where the first WC was played in 1930). or INDIA!!! or anywhere in Southern Asia, we should give them a chance. No chance for QATAR . Nothing is there in QATAR to Enjoy the Life .June & July Outside Temperature will be 50deg . Who will Survey Outside ? Only the Labours will Survey . Not Executives . Only Inside the Stadium will be 25deg , But Outside it will be Killing HOT SUMMER in all Gluf Countries . Very stupid article. Clearly, FIFA could care less about wikileaks. USA will host. Why England? And than you say that countries like Germany (who are 2x bigger than england should host together with other countries? And France is also bigger than England. The country is 2x the UK. Qatar should host the 2022, Great country. Who else would pour 55 billion USD for a world cup, and then donate all the pitches to developing nations. @ rianharris, you have no logic... QUATAR!!!!!!!!! Looking forward to seeing you (Pedro Pinto) again, in IBERIA 2018. Saw you in Joburg 2010. US and England have had their chance. The Netherlands&Belgium for 2018 and Australia for 2022! And Holland will win the 2018 World cup in Holland!!!! Hope not some dictatorship like Russia. These kind of prestigious events are not supposed to be used by wrong regimes to solidify their positions. Likewise the 2008 Olympic shouldn't have gone to China. Not to countries who don't give a damn about human rights or democracy. I don't know who will host the 2018 Cup, but have no idea why Brazil has been chosen to host 2014. Im in Brazil right now about 1 hour south of Rio. When you travel back and forth between Rio and where I am situated, you only see poverty, filth, and what looks like complete chaos. Where there is police stations on the main highway, the road is closed to one lane and you drive through a sort of "check-point-charlie" while staring down the barrel of an M16 (finger on the trigger). And I saw this same thing last December when I was here, so it's not just because of the Cartel crack downs. Not sure how the football fans will take to this sort of action. Anyway, just thought I would throw in my three "Real"! The world is about money so Putin bid the highest offer for the cup. Will we have the future after 2012? For 2018 it should be England, they have all the requieremnets to hold the Event, and for 2022 should be Australia, a beautiful country, safety for everybody to enjoy. Recently hosted the Olympic Games suscefully, and many others internationally Events. Almost all the requierements are there, although the event is 12 years away. The weather in Australia is perfect, and the people are extremely friendly. All the countries of the world are here represented. All Asian and India's countries are very close, and with the latest info technology distance is not a problem. The economy of Australia is one of the best in the world. 2018 Spain-Portugal. Would be great. Australia has got to have the World Cup Hosting rights for 2022. The US has only had it recently in 1994 and Australia hosted the greatest Olympics ever in 2000. The World Cup would be the icing on the cake! As I'm half English and half Australian (Dad is a Pom, Mum an Aussie), I would love 2018 to go to England and 2022 to Australia. But I have a feeling Russia will get 2018 and Qatar have bribed enough to get 2022. Paul the Octopus predicted Spain to win the '10 Cup. If he were still with us, he'd predict Spain to host it in '18. EVERYONE promoting a country who isn't bidding for the 2018/2022 need to wake up and understand it's not a random pick. 2018 – England – Spain was in '82 and having it every 12 years in a Euro country isn't good publicity – 98 France, 06 Germany. Russia can pay for lots of stuff, but this isn't about building stadiums anymore. 2022 – USA – South Korea and Japan were 02, Australia had a horrid time getting Rugby to buy off on it, and having 3 of 4 games south of the equator isn't good for tourists. Qatar is a horrible place to host, when you think about the costs and then the party atmosphere, not to mention the security threats possible. @ reuben: China is said to bid for the 2026 Cup. IMO, 2018 goes to Russia, 2022 to USA or Australia. i believe the the fair outcome would be England due the the strong bid they have put forward. Japan , Korea and USA have hosted world cup recently and i think that will work against them seeing FIFA is promoting a World Game. Qatar still have the issue of the heat. i think that it will be something to hard to overcome. all we can hope for is safe events in this day and age. also hope to see full stadiums unlike South Africa. all the best to all the nations i'm sure who ever wins will not let down the football family. its up to fifa to decide but the winning nation should make sure its not like indias comonwealth games like preparation. Australia will win the final sometime in the next two or three events , whether or not it is ever held Down Under, and when they do break through they'll win again and again in the 21st century. But hey what do I care – Rugby League is the real footy game! THe US shouldn't worry about Australia's bid. The overwhelmingly majority of Australians oppose the bid and there is a rumour sweeping Australia that the new governments in some states and the Federal opposition will withdraw support for the bid even if Austrlaia wins as it will cost $2.5Bn according to the government who traditionally massively under-estimate costs and have wracked up over a hundred billion in debt. I think England has a very good case for 2018. If they do win it that will be great for UK. How easy it will be for fans from the rest of the world remains to be seen. I have a feeling Qatar might spring a surprise. Not the strongest bid but compelling due to other factors. US the strongest bid needs the WC for financial reasons rather than footballing ones. Hope football wins the day. I think Indonesia is a good place to host World Cup either 2018 or 2022. Long live Indonesia:)IIIIIINNNNNNDDDDDDOOOOOONNNNNNEEEEEESSSSSSIIIIIIAAAAAA!!!!! qatar has the great chance for 2022 and they deserve to have it. Everyone are sleeping? Spain will be the next host of the world-cup. You can see the country management and experience of football tournaments. Anyway Spain is the champion of the world so i think blatter will decide for Spain. EGYPT..it would do lotsa good to this country! Of cource, Korea will be win. the 2022 Edition should be in Qatar, because it will boost the whole region. Let our older cuzins the brits have it in 2018 and then us aussies in 2022. Everyone in our country wants it. We love sport!!! We are perfect for the job. Infrastructure is first world + we have the money and the spirit. GO AUSTRALIA!!!! Being Dutch I, of course, am bias and will vouch for a joint Netherlands/Belgium in 2018. Not only does the Netherlands have the facilities and infrastructure to pull it off with ease, but it would be an incredible experience for visiting football fans because the Dutch go all-out when it comes to football. One word: ORANGE. But it would be great to see 2018 world cup in England. As for 2022 I think Australia should get it. South Korea/Japan hosted in 2002: give someone else a chance. As for the US ... Sorry, I know there are Americans who are football (or, as they call it, "soccer" *cringe*) fans, but why should the least football-enthousiastic country host the mecha of football tournaments (again)? I hope it will be Holland and Belgium- they are both great footballing nations have the infrastructure and organisational abilities to do a great job – like they did in the Euros. Holland has especially done great things for world football- after 3 lost World Cup Finals they deserve it ! Omar, Nepal will surely host worldcup even before 2034....Jai nepal!!! Its time the world cup came back to the home of football. COME ON ENGLAND! we dont have promo video. But we will try the best. Now, India wins to host 2018 fifa worldcup football event..
Pop-in. "Celebrate with Dairymilk Chocalate". Organising committee is formed. Some old politician Mr.Gilmadi will be incharge and will takeaway 95% money. Once the players starts coming, he will search in wikipedia "dimensions of football stadium". Donot know what to do, and by bribing the fifa authorities, and with very less money for games, he will convince every1 tht balloons as footballs and beaches are grounds. construction work will be done by army in the last min. In the meantime bin laden and his pals will self-immigrate into Kashmir with noone in the security check. 'terrorist came into the country. full nation alert.' government will pull all the military from Kashmir to protect the games. Cover stories, 'ground-zero' 'ground-10km' bullshits will be aired to keep every1 busy discussing 'whether or not?'. In the construction side, stairs falling down, roofs flying off, Mr.Gilmadi will announce "tickets soldout". If u think it is a tactical statement, as tickets soldout noone will attempt to come to know about the condition of so-called-stadium. players will buy sarees and henna for their GFs and attending parties. Finally, the stadium is ready for ceremony. With some bolly actress dance and arrahman 'jai ho' or 'sunil ho', games will be concluded with 'Indian army as winners'. Messi, ronaldo, rooney would have thought it as a opening ceremony, will be flying to the venues. Actually they are boarded to the plane back to their respective countries with a pack of indian sweets. Actually it is a "Very very different WC ever for the world" and the players are spectators of the evergreen drama of "INDIAN POLITICS". Next day newspaper headlines "2018 Foodball Worldcup. Great success" with pictures of bolly actress dance photos. Reading this news a innocent, honest commoner will wonder "Which theater playing this movie?". Thats the power of combination of evil media, criminal politicians. India, really is as good as.. even better than most countries. Unlucky to have our people's belief in these rotten politicians. PORTUGAL PORTUGAL THE BEST EUROPEAN CHAMPIONSHIP EVER, THE BEST WORLD EVENT ORGANIZER (EU SUMMITS, NATO SUMMIT, ETC), AMAZING HISTORY AND MONUMENTS, BEUTIFUL BEACHES, LANDSCAPES, EXCELENT HIGHWAYS, HIGH SPEED TRAIN, THE BEST RESORT AND OF COURSE, THE BEST FOOTBALL! Qatar?! Madness. Not a chance! Look at Qatar! It's so small, you can hardly see it on the World Map! Small size-Results in less accommadations, I mean, come on! How many stadiums are there in Qatar?! Are there enough hotels, motels etc. to support that many people?! And quite honestly, when Qatar hosted the Asian Games, it was a nightmare, literally! And that's only the Asian Games! Imagine the World Cup! And hasn't Qatar learned it's lesson from hosting the Asian Games? If they do have a successful bid for the World Cup, I'm sure all the people who actually do get in there will complain about the horrible smell! Someone rule out Qatar. Quickly, before someone gets hurt! Then again, I'd like to see Qatar host the World Cup, maybe then they will learn their lesson. The US is just not up to par in regards to world standards, to host the games, given it has such a low standard of living, high crime and gun death rates, very poor technology ratings, poor healthcare, etc. Once the US catches up with the rest of the planet in these regards, it could be considered to host the games. Russia definitely has an interesting one. I don't mind seeing the World Cups from this country be hosted. It's out of the ballpark and different, I think. I think England is ready to host the 2018 world cup because they are so passonate about football. This is obvious because of the attendance irrespective of the team that is playing in the premier league. Therefore we can see a lot more in the world cup. I was shocked listening to the CNN correspondent Pedro Pinto in showing his disappointment at FIFA's choices, describe Brazil, Russia and Quatar as "uncharted territiory." Many of us are sick of this sort of parochialism in a lobalized world. why must a few nations host the World Cup, and develop their economy all the time all the time, and the rest of the world watch on TV. Look at how refreshing it was in South Africa!! One more time what the people want is different from the FIFA decision. Surveys for 2018 shows Rusia at the bottom instead FIFA decide to select this country. All my respect to Rusia. Great team and country but not what the people vote for. Same with Qatar for 2022. Need to get back to the roots of soccer. I say change the game to every 3 years, that way more countries can be in it. In 21 years, 7 countries can do it instead of 4. Fully airconditioned, open stadiums! that sounds very enviromentally friendly. Just goes to show fifa have lost the plot. Just draw balls out, to decide the outcome, you can't bribe a ball! According to me, I think Qatar deserves to host the football mega event in 2022, the first of its kind to be held in the Middle East, the richest subcontinent in the world. But, one question arises: Will the players be able to play in the blazing 50 degree Celsius sunshine, will they be able to withstand the heat? Well, Qatar has an answer for that. Not Qatar actually, but money will speak to answer this question. Ever imagined Air conditioned Stadiums? According to reports, Qatar has envisioned of building 9 air-conditioned stadiums, in which billions of dollars will be spent by the Qatar Govt. It's really good to hear Qatar saw off votes from countries like Korea, Japan etc. World Cup GALA comes to ASIA! In the cold hard light of day, FIFA is the right and proper body to oversee the World game, so calls of a breakaway association is immature and reactionary. Yet, if ever there was a call for regime chance, then the Exco 22 are a text book example. Rife with corruption, low morals and even fewer ethics, Sepp Blatter and his crew of smiling assassins should hang there heads in shame and be unceremoniously shown the door. Nothing short of a complete restructure of FIFA and its member conferences must be adopted now. Until such a change takes place, all nations should not only seriously reconsider putting there hand up as a host nation for the World Cup, but should also reconsider qualification for it. From this moment on, every nation that does host it is now shrouded in a cloud of collusion with a serpent worthy of scorn and distaste, and the biggest loser will be the game itself. The English are poor loosers, they forget one thing the Russian bid might hbe better. I still believe it is an excellent policy of FIFA to organize these events in new areas, it opens the world and creates a lot of opportunity in these areas. Iam concinced that the Russian organisation will be example. The same comments were made for the organisation of the Olympics in China and see what a succes it was! Am very happy to see Russia win this WC 2018. I understand England's disappointment especially losing to no other country than Russia, however, England must get over it. The media has every right to express itself but I believe the timing of their attack on FIFA was not the best definitely U cant attack them and ask for their help at the same time, its the truth though it hurts. England can not dictate to FIFA, FIFA has chosen let us support the winning countries and not undermine them with further attacks. Of course soccer is the best sport in life but Spain is going to host a world cup in 2018.